I've always known my dad was special. The other day, he confirmed it once again when he called with birthday wishes for me. It had been 56 years since the day I was born, yet my father, who is 30 years my senior, reminisced about the unique bond he had with me, especially as he had gotten up for those 2 a.m. feedings so my mother could sleep in. Alessio Bax has a special bond with his little girl as well. Her name is Mila. So for Father's Day, let's re-listen to his musical gift to his little girl, with whom he's creating many memorable moments. "I mean, all of a sudden, life is so full of wonders and beauty, and I mean, it's amazing to see life through a toddler's eyes," says Alessio Bax. "Things you had taken for granted before are just so beautiful." Almost two years ago Italian-American pianist Alessio Bax and his wife, pianist Lucille Chung, became the parents of an adorable little girl. Her name is Mila, and she's already traveled to some 15 countries as her parents perform around the globe. "So she grew up listening to all kinds of music that we were preparing and also to a recording that we'd play to calm her down when she was first born," Alessio says. "Some pieces really affected her in very specific ways  the second movement of the Mozart Clarinet Concerto in a particular recording that would always soothe her. Not put her to sleep, but she would be very alert and very quiet, listening to it. 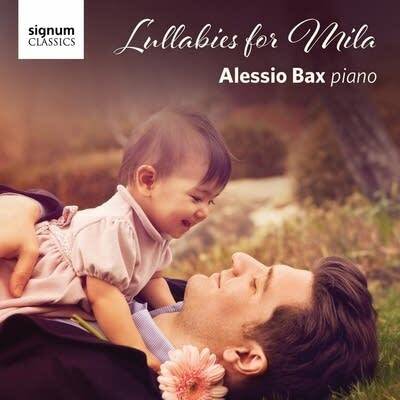 "I have quite a few recordings to my credit on Signum," Alessio continues, "and I wondered if there was a way to curate a CD or playlist that was designed for her, the pieces she likes, also for adults to listen to in a kind of seamless way. I don't know how many tracks are there … but something that you can listen to from beginning to end, almost as if it's telling a story. And at the same time going back and forth through different periods. So it was quite a challenge to make that happen in a coherent and programmatic way." That recording has turned into a very personal project called Lullabies for Mila. It features 16 pieces from Alessio's previous recordings, and it opens with a very special piece, Edvard Grieg's "Nocturne" from Lyric Pieces. "I think it fits the theme very well, this ternary rhythm that really sounds like a cradle song," Alessio says. 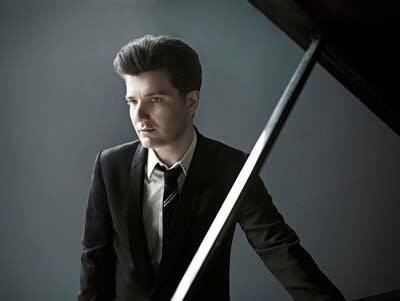 "But then it's a very significant piece for me  one of the first pieces I played and started winning competitions with, and I haven't played it since I was eight years old. And during a break in the recording session for the Russian album, the Mussorgsky Pictures and Scriabin 3rd, a very intense album, I decided to record that. And it was such a break for me, for the producer, for everyone in the session. And Mila was there in the next room for the whole session as well. And I was thinking of a special track that was not pre-recorded … and it came to me. So I played it without music after all those years." It took a while for Alessio to create just the right playlist. He wanted the music to be calming but not boring. So after the quiet nocturne, you'll hear a more dramatic Prelude No. 4 by Rachmaninoff. "But to make a journey for the listener, whether it's a toddler or child or parent, you need a sense of balance," Alessio explains. "I'm thinking of that piece and also the second movement of the Moonlight Sonata, which is not cheerful but which is brighter in character than you would imagine a lullaby. So together with my producer we came up with this playlist that is connected through keys and key relationships and moods as well." What makes this collection of lullabies even more special is that Mom plays on this recording, too. Lucille Chung performs the only piece on the recording that's an actual lullaby, the Waltz No. 15 in A-Flat Major by Brahms. Alessio told me that every one of these pieces is special to him for different reasons, and it was no easy task narrowing the recording down to just 17 pieces. "I have to say, when I started the first playlist, I had like, maybe three hours of music that I had to cut down. And it was a very hard choice to cut things from this disc. Each track has something special in a different way. I don't like to listen to myself, especially to recordings of myself … that's a natural thing, I guess. But there's a Largo from the Bach Concerto, a transcription … something I haven't played so much and recorded it for my first CD with Signum a few years back. So it's always a pleasure to listen to." That largo is also one of Mila's favorite pieces. That's right, she already can identify the music and the composers. "I'd go to the piano and play and she'd shout out the name," Alessio says. "She shocked a friend of ours recently; we were walking up the stairs at a college in Texas, and some people were practicing a Schumann quintet and she shouted out, 'Schumann!' I guess that's something she can't avoid, being exposed to classical music since before she was born." Lullabies for Mila, a beautiful musical journey whether you're a parent, child or someone who's just discovering classical music.